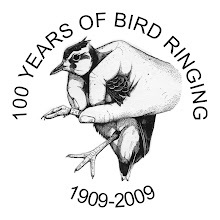 Bird ringing has come a long way since it's inception in 1909. It was primarily set up to answer some basic questions, like where do our birds go and how long do they live. Since then, an amazing amount of information has been gathered that answers many more complex questions, like why a certain species population changes each year and where in Britain or Ireland are they declining. 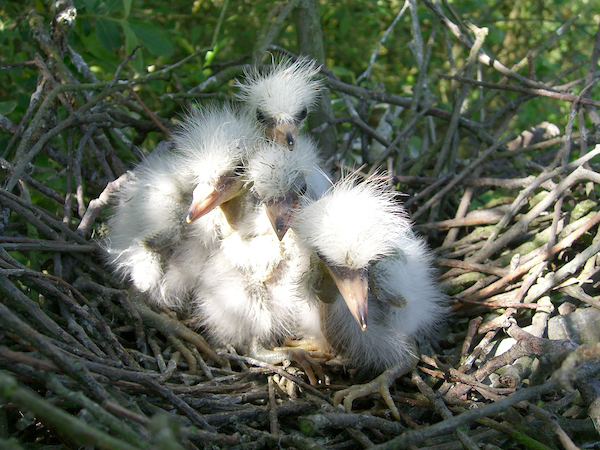 More information can be found on the BirdTrends and ringing surveys pages. At this time of year, all of the previous year's data have been loaded and checked and the Ringing and Nest Recording Team pull together some of this information to produce the Online Ringing & Nest Recording Report. The report includes annual totals for ringing and nest recording, as well as information on recoveries, but it also covers one basic question... how long can a bird live? The longevity records for 2016 have now been updated and there are some interesting new records. Relatively new colonists like the Little Egret often feature. As they have only been ringed in any numbers in Britain and Ireland in the last fifteen years, we probably haven't yet established the normal maximum life expectancy; the record currently stands at 10 years and five months. Last year saw 17 records broken including three owl species; Barn Owl, Little Owl and Tawny Owl with ages reaching 15 years, 13 years and 23 years respectively. Some finches also did well with Twite, Lesser Redpoll reaching six years and Goldfinch reaching 10 years. Lots of these record breakers were caught by a ringer, as opposed to being found dead or being identified by colour marks. Where ringers monitor the same populations annually, the potential for individuals to be caught again increases. This is exactly what happened with three of the record breakers, Little Ringed Plover, Peregrine and Nuthatch, which broke their own records after being re-encountered in 2016! The Puffin longevity record was broken again in 2016, and the oldest-known bird in Britain or Ireland is now a ripe old age of 37 years. The individual that broke the record, seen in the photo below, was ringed and re-encountered by the Shiants Auk Ringing Group, who ring in the Western Isles. The previous record holder was also a bird from the Shiants. The oldest-known BTO-ringed Puffin, by Liz Scott. We won't be analysing the 2017 records until next year but we already know that the current longevity record for Jackdaw has been broken. Originally ringed in April 1999 by Declan Manley, and subsequently re-caught in 2005, 2007, 2012 and now in 2017. A Goldfinch ringed in Nottinghamshire and found dead in Devon has also broken the 2016 longevity, adding another couple of months on to the current record. Longevity records are the maximum a species has been recorded to live but most birds do not manage to reach this age. The average life expectancy and lots of other interesting facts can be found on our BirdFacts page. Amazing! One of the most amazing wonders I witnessed in Ireland was the Puffin Bird. Such a beautiful species.